Captain George Ritchie Hodgson, Flight Lieutenant James Lindsay Gordon, Leading Mechanic Sydney Francis Anderson and Wireless Telegraphist Bertram Harley Millichamp rescue two men from an upturned float in the North Sea. Lieutenant Colonel Lancelot Colin William Deane DSO MC (commanding 6th South Wales Borderers) is killed in action at age 26. He was a head student at George Watson’s College Edinburgh and winner of the Gold Watch given by Watsonians of North America for the best football players of the year. Captain (Brevet Major) (Acting Lieutenant Colonel) Edward Seton Chance (Dragoon Guards commanding 6th Leicestershire Regiment) is killed in action at age 36. He is the son of the former Member of Parliament for Morton, Carlisle, ‘Sir’ Frederick Chance and his younger brother has been killed in 1915. Major Harold Thomas Forsert DSO MC (Royal Marines Light Infantry commanding 2nd Northamptonshire Regiment) is killed at age 39. He played first class cricket for Hampshire County Cricket Club in 1911. Captain (Acting Lieutenant Colonel) Colin Robert Hoste Stirling DSO MC (Cameronians commanding 2nd Berkshire Regiment) dies of wounds received in action five days earlier at Chaulnes at age 24. 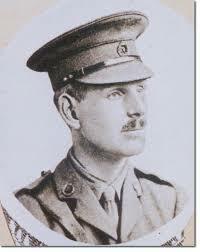 He is the third son of Brigadier General J W Stirling CB CMG DL to be killed in the Great War. The General lost all his sons in the war. Captain Terence Petty Muspratt MC (Worcestershire Regiment) is killed at age 22. His brother was killed in March of this year. Captain Frank Copeland Worster MC (Worcestershire Regiment) dies of wounds received in action at age 29. He is the Classical Master at St Paul’s School, and had been 1st in Class in Classical Moderations and “Greats” at St John’s College, Oxford. Civilian Chaplain “the Reverend” W H Spinks (Young Men’s Christian Association) dies of injuries at Etaples received while rescuing a chinaman during an air raid at age 45. He was a Baptist Minister. Second Lieutenant Alfred Bence-Trower (Scots Guards) is killed in action at age 37 one day before his younger brother is killed. Commander Ralph Bonfoy Rooper (French Red Cross Society attached British Red Cross Committee) is killed at Gueux near Rheims at age 23. In April 1915 he joined the Friends Ambulance Unit and served as a motor ambulance driver. He was rejected for Army service due to health issues and served for some time in the Ministry of Munitions and the Admiralty. His brother was killed in October of last year. Private Albert Sullivan Gee (West Yorkshire Regiment) is killed at age 24. His brother was killed last October in Salonika. Private Richard J Finney (Lancashire Fusiliers) is killed at age 20. His brother was killed in July 1916.